Save yourself a small fortune - on the box and the postage! Our DL Invitation Boxes are sold in the 10's of 1000's every year. They are extremely popular for wedding invitations & gift vouchers as they are generally more affordable than rigid boxes and more importantly, they post for large letter in Australia** (from $2.00) - not the more expensive small parcel like the majority of invitation boxes that cost $7.45 or more just to post! This box is a two piece box with a matching coloured base and lid (not white base, coloured lid). This DL Invitation Box arrives flat packed & unfolded for self assembly. Our boxes have special self-locking corners and no glues are required. It also makes them easier to print on if required. 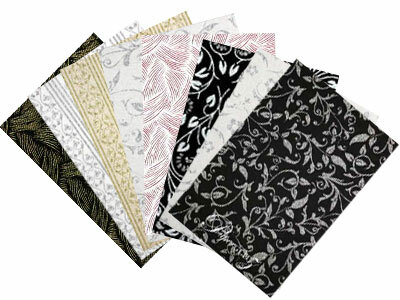 These are specially designed so that when properly folded they measure approx. 220x114mm on the outer lid and are only 19mm in external height. Inside they have a clearance of approx. 213x107x16mm. Folding is quick and easy and only takes a minute or two. See our video tutorial below. This DL Invitation Box is made from paper that is manufactured in Italy and is converted and packaged by Paperglitz in Sydney, Australia. 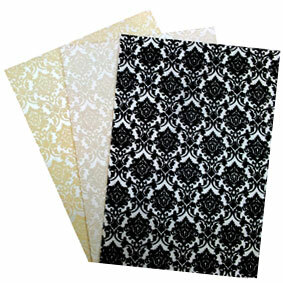 This is a premium range of papers that has for many years been a favourite for all wedding stationers. 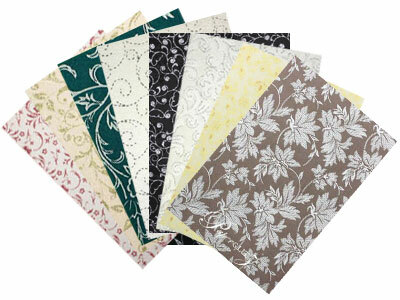 This range of papers is laser compatible and as a result it is the widely used for DIY wedding invitations and projects as many standard laser printers that can print on heavy card stock will produce beautiful results. Some have reported beautiful results with some inkjet printers but we don't recommend as ink performance differs greatly between brands and are slow to dry. 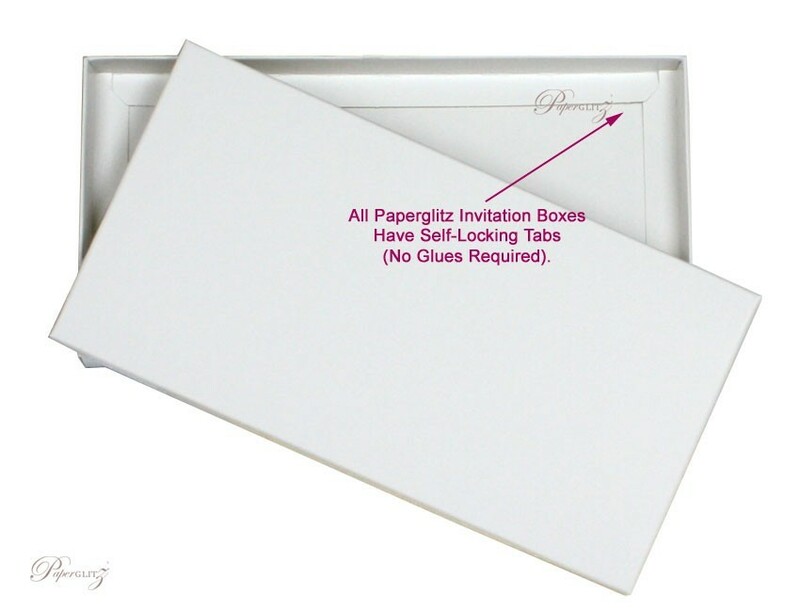 ** To ensure you are able to post this invitation box in Australia for a large letter, ensure the box is folded correctly and with your invitation inside, ensure it still measures no more than 19mm high and the sides of the box have been taped together. The lid cannot be bulging from a poor fold or an invitation that is too thick (e.g. more than 16mm). Occassionally a loosely folded box may measure exactly 20mm and some post offices may tell you that if it scrapes their guage (20mm) but still passes through, then it will cost more. If they do, remind them that this is not correct and it is allowed to be exactly 20mm but not more. So if your box is 20mm and their guage is 20mm, of course it will scrape but it is still a large letter as it is not more than 20mm. Do not let a mis-understanding of their own rules or a simple attempt to get more money from you put you off. They have to accept it as a large letter (subject to weight restrictions) if it is not greater than 20mm - just like the 100,000+ boxes we've already sold to lots of happy customers! We designed this box specifically around Australia Post's own letter/parcel guage to ensure it fits. 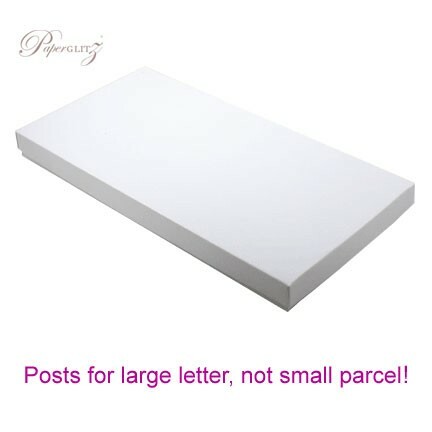 However, we can't accept any liability for additional postage costs if it doesn't fit, as it may be the box is not folded properly, has a bulging lid from an invitation that is too thick, or an invitation that is too heavy. 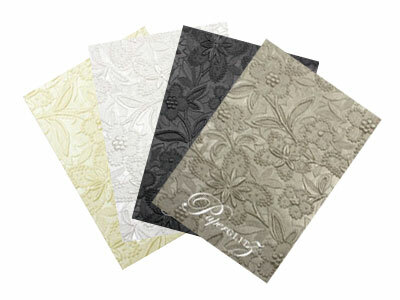 Buy with confidence and specify only "Genuine Paperglitz DL Invitation Boxes®" for your next project.